We are honored that The Mutt-i-grees Curriculum has been recognized as a revolutionary education program that needs to be shared with the world. 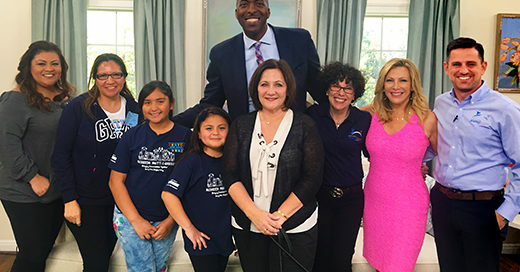 It was selected from almost 1,000 international entrants for its unique groundbreaking efforts to enhance the social and emotional competence of children. International researchers and educators rigorously evaluated programs for their originality, impact, and ability to be expanded to a global scale to teach children in many different cultures. Why yoga? Besides being fun for kids, who are attracted to the various animal related poses, yoga improves flexibility and studies show it can also improve posture, concentration, balance, and mood. Many teachers also add meditation, finding that it helps calm students and is an effective way to transition students to other classroom activities. Here we provide a few starter yoga poses, showing not only kids, but dogs as well! Vocabulary is an important part of learning and social interactions. The more words children know, the more they are able to understand what they read and hear, and the better able they are to communicate. Have you ever felt frustrated not having the right word? Sometimes it's a matter of recall – we simply can't remember the word. But often, we just don't know the word, leaving us unable to effectively express ourselves. In 2013, the EPIC Coalition, a nonprofit in Port Girardeau, Mo., wanted to develop a program using the power of the human-animal bond to help kids develop the skills to resist the pitfalls of drug and substance abuse. That’s when the Coalition discovered the Mutt-i-grees® Curriculum…and EPIC Pals was born. 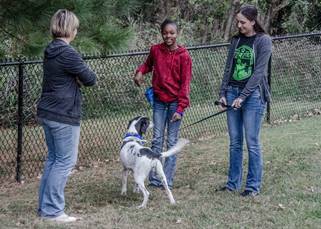 With the Curriculum providing structure and substance, EPIC (Early Prevention Impacts Community) applied for a grant to create a drug abuse prevention program combining social-emotional learning with positive-reinforcement dog training classes. Kayla, a 10-year-old Cockapoo, whose elderly owners could no longer care for her, had been rescued and brought to Meriden Humane Society, where Cynthia’s daughter is a volunteer. Last month, word spread to Cynthia, who fell in love with and adopted Kayla, her first dog ever. The pair couldn’t be happier. Since then, Cynthia has been busily making arrangements to bring Kayla to school every day, where the new canine instructor will be available to provide “paws-on” demonstrations for Mutt-i-grees lessons. Students at Dr. Sun Yat Sen M.S. 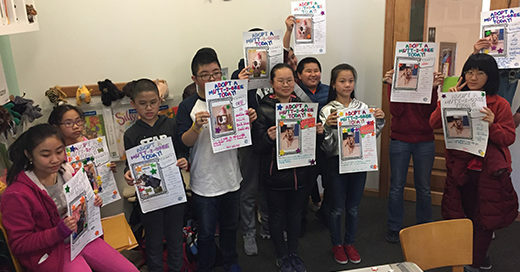 131, in Manhattan’s Chinatown neighborhood, recently took a field trip to nearby Chatham Square Library to participate in Mutt-i-grees® activities and hear about service-learning opportunities they could get involved in. Accompanied by their teacher, Careen Halton, the 13- and 14-year olds were greeted by the library’s enthusiastic staff as well as by two human members of the Mutt-i-grees Team — and one darling puppy. A rewarding outcome of the Mutt-i-grees Curriculum is seeing children overcome their fear of dogs and cats once they begin participating in the Mutt-i-grees Curriculum. An outcome we often overlook is an adult’s triumph over their fear of animals. 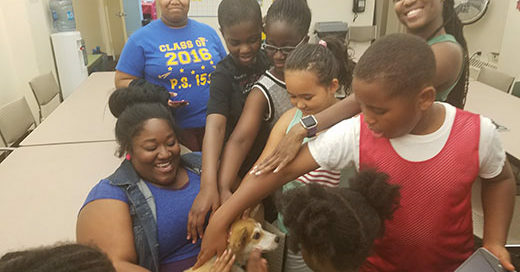 Chiara Grenaway, Education Coordinator for the Baychester Library in Bronx, NY, grew up with a fear of dogs and spent all of her childhood and much of her adult life never having physical contact with a dog.